Process the dates in a food processor until they become very soft and sticky and form into a ball. Add the pumpkin puree, honey, peanut butter, pumpkin pie ,salt, and vanilla and process until smooth. 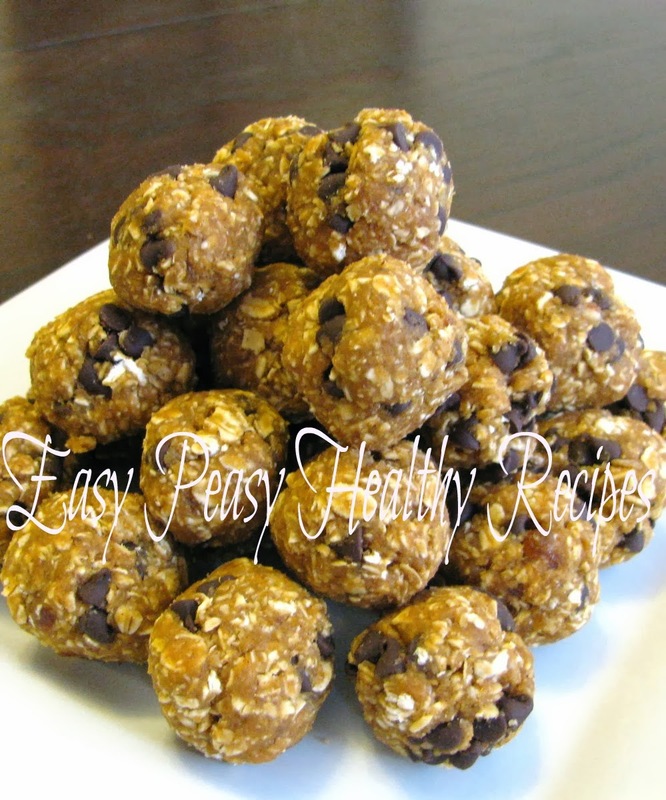 Transfer to a large bowl and combine oats, ground flax seed meal and mini chocolate chips. Mix until well combined. Cover and refrigerate for at least 30 minutes. Roll into small balls and place on waxed paper. Keep refrigerated. Place dates in the bowl of a food processor and process until dates form a sticky ball. 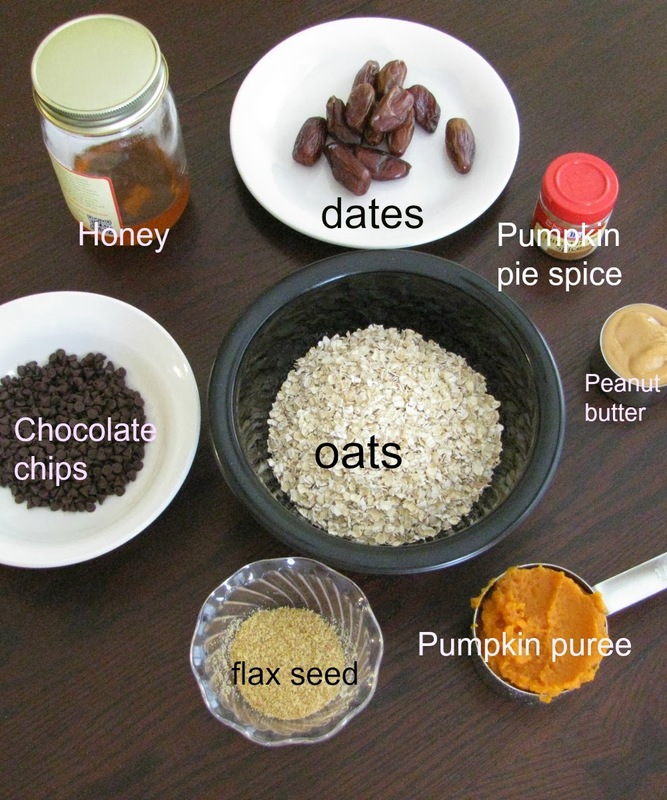 Add the pumpkin puree, honey, peanut butter, pumpkin pie spice, vanilla extract and salt. Process until smooth. 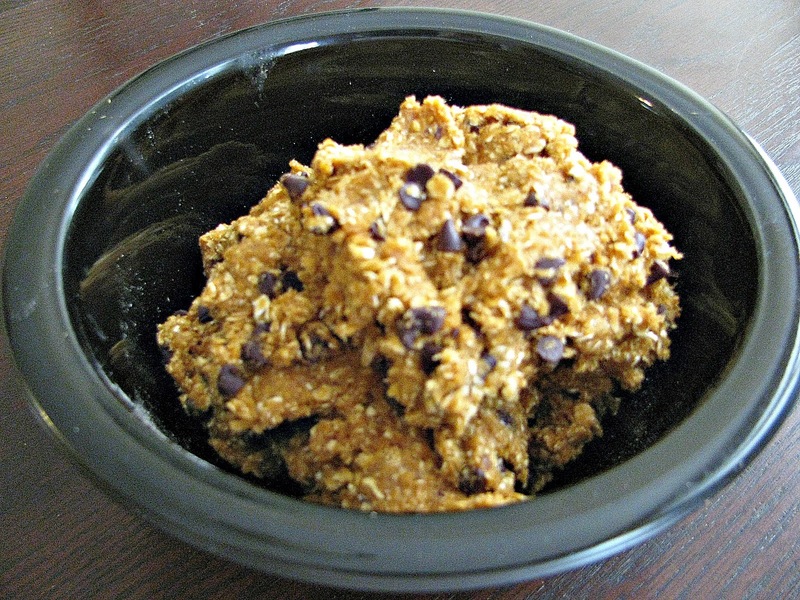 When well combined transfer to a large bowl and add rolled oats, ground flax seed meal and chocolate chips. Stir until combined well. Cover and refrigerate for at least 30 minutes. Roll mixture into small balls and place waxed paper. Cover and keep refrigerated.